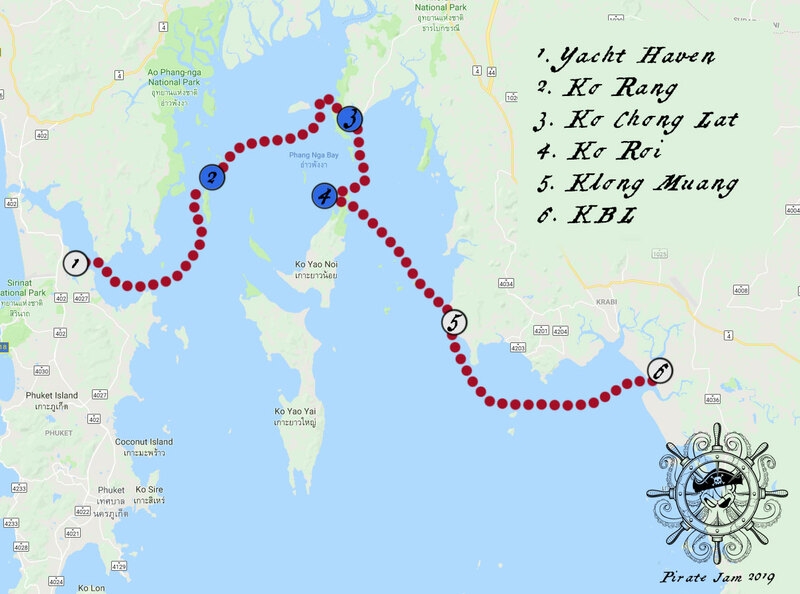 Pirate Jam 2019 will sail between Phuket Yacht haven and Krabi Boat Lagoon aboard a fleet of sailboats and catamarans. Developers from Freelives, Devolver, and Unity3D will join the crew of pirates and make games on a TBA theme. This is the 3rd year of Pirate Jam! Pirate Jam 2018 saw 20+ developers aboard 6 sailboats for 8 days of swimming, sailing, coding, and fun! Pirate Jam 2019 sets sights on new horizons aboard an amazing fleet with a fresh collection of Pirates from around the world.